I am happy to announce that I have been cast as Thaisa in Shakespeare's Pericles. This is a production by The Rude Mechanicals that is actually entitled Pericles: The Good Parts Version. I had not read the play until recently, and it is now one of my favorite of Shakespeare's works. It has shipwrecks and fights to win the maiden and death and honor and a beautiful ending. If you aren't familiar with Pericles, this is a great chance to see it for the first time! 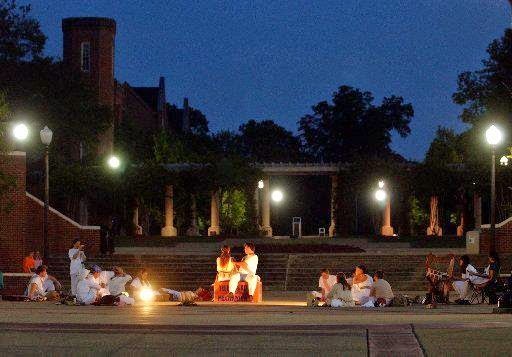 Don't miss the chance to see Shakespeare under the stars! For more information, visit the facebook page for The Rude Mechanicals at https://www.facebook.com/TheRudeMechanicalsUA?fref=nf.